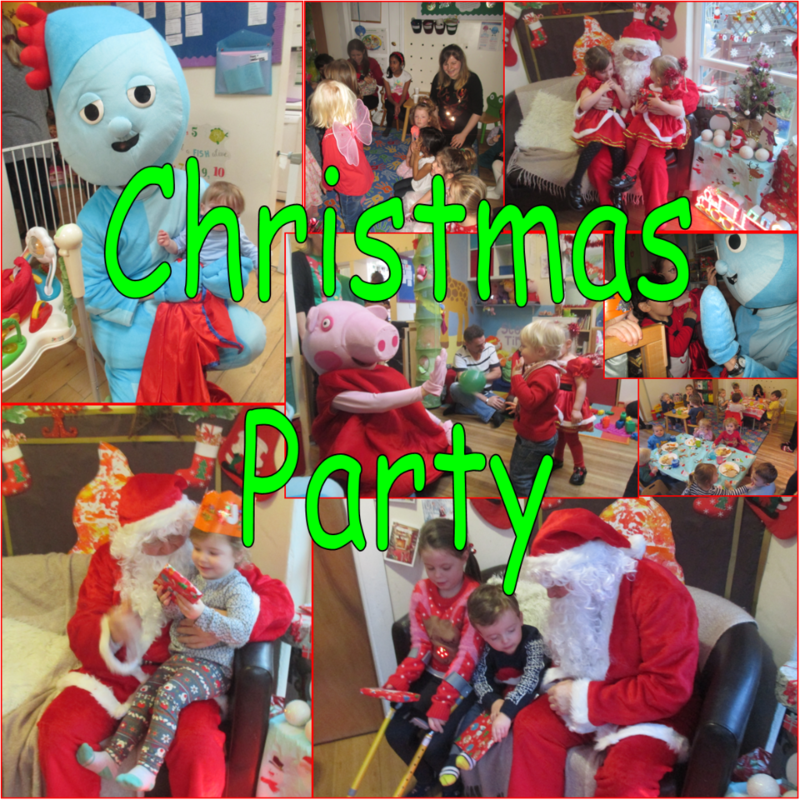 Christmas party 2016 - Little Angels Nursery! Our Christmas party was a huge success with special visit from Santa who was so happy to see the children asking them all their wishes for Christmas! 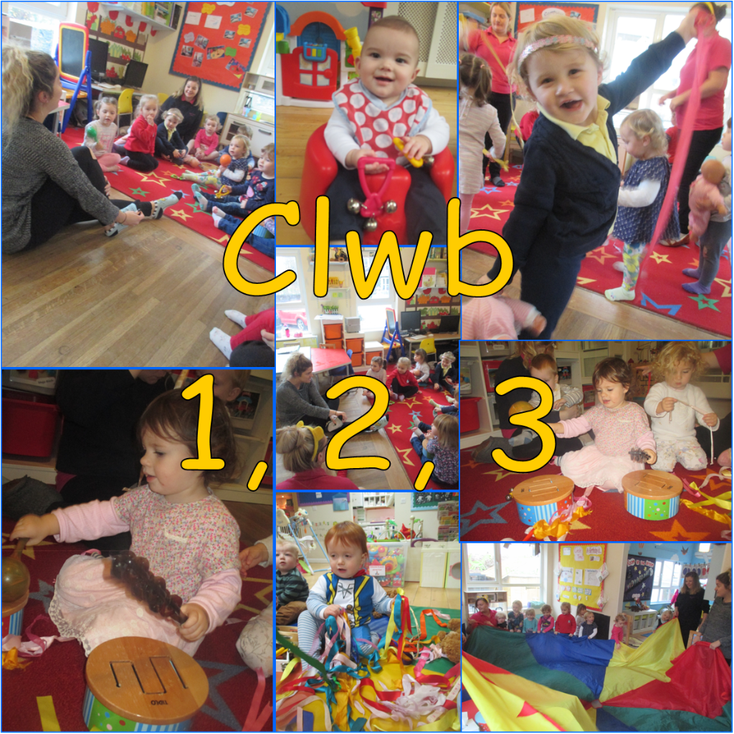 There was also Peppa Pig and Iggle Piggle who entertained the children throughout the afternoon. The children put on a lovely show for the parents of some festive Christmas songs and played lots of fun games and enjoyed an array of delicious party food. A fun afternoon was had by all. The Children really enjoyed our week of fun for Children in Need. 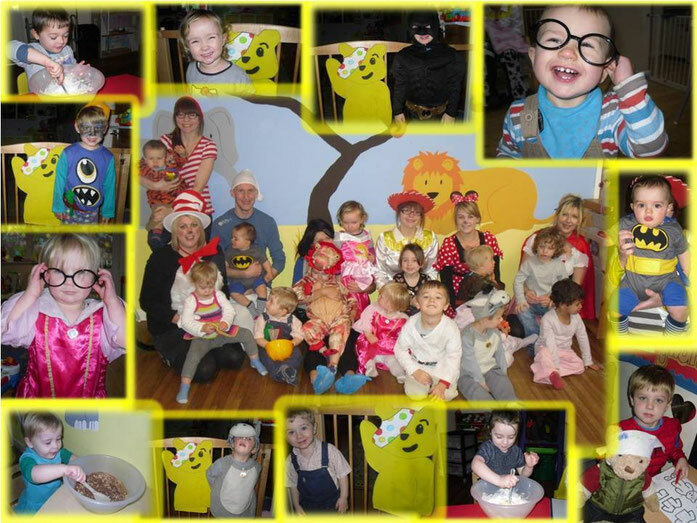 We started the week with lots of fun Pudsy activities such as painting, sticking, and baking cakes and biscuits. We had a sponsored 'jump for Pudsy' where all the children got sponsored to spend an hour jumping, dancing, and singing along. Lots of fun and laughter was had by all. We ended the week with fancy dress and all the staff joined in and held a coffee and cake stall and a grand raffle. The Raffle items were kindly donated by local businesses which we at 'Little Angels' are so grateful for, and raised a total of £1000. Thanks to everyone for their kind donations. From November we have started to have a monthly visit from the wonderful Hannah Goodchild from Aberystwyth Arts Centre. She will be spending half hour sessions in each room doing movement dance and music. The children will really benefit from the sessions. We find that singing songs and saying rhymes on a regular basis are proven to enhance early language and communication skills and broaden your child's vocabulary. Actively participating in music making has been shown to strengthen children's cognitive and memory skills even more so than if they were simply listening. Moving to music, playing instruments and using props and puppets give children of all ages a chance to improve their gross and fine motor skills. Singing, dancing and playing instruments and musical games will also stimulate your child's creativity and imagination and acting out dramatic play and simple performance activities will encourage your child to make decisions and contribute ideas. 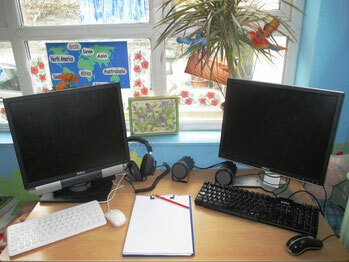 In addition to our smart board, Bluebell children now benefit from having access to our newly enhanced ICT area. Our preschoolers can practice basic computer operation skills and have supervised access to educational games ( promoting mathematics, phonics, writing and letter recognition). It was a lovely sunny morning, so an outing was suggested for the Rose and Lilly room. All the children were suitably dressed and put into pushchairs. We set off to the playground on Plas Crug Avenue. We were all chattering about what we were seeing on route, the children pointing to cars, traffic lights, trees and flowers, houses, people, dogs etc. We arrived at the park, the older ones eager to get out of their pushchairs saying excitedly 'swings'. Once unstrapped the children ran to the swings. They were happy to take turns, then rushed off to the next exciting apparatus. We let the children have freedom but shadowed and kept a very watchful eye, each member of staff assigned to her two children. They climbed ladders, steps and slopes, slid down slides, spun on the roundabout, swung on the swings, ran in a wide open space, crawled through tunnels. The younger ones crawled or walked around choosing where they wanted to go, eager to copy the older ones and with adult help achieving activities within their ability. Each child seemed to get so much from the time we spent there, one child balanced, walking on a thin balancing plank, another was nervous of climbing up onto a 'bigger' climbing frame, but with encouragement and patience she found courage and achieved bigger challenges with enthusiasm. 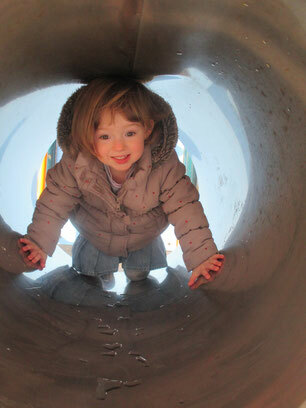 Another ran from climbing frame to roundabout to swings with bounding energy, enjoying the freedom and the choice. I noticed much more conversation from the children. Lots and lots of smiling. When it was time to leave, no one complained, happily they returned to their pushchairs and said or waved goodbye to the playground. Overall it was a happy, educational, active, learning and fun outdoor adventure. 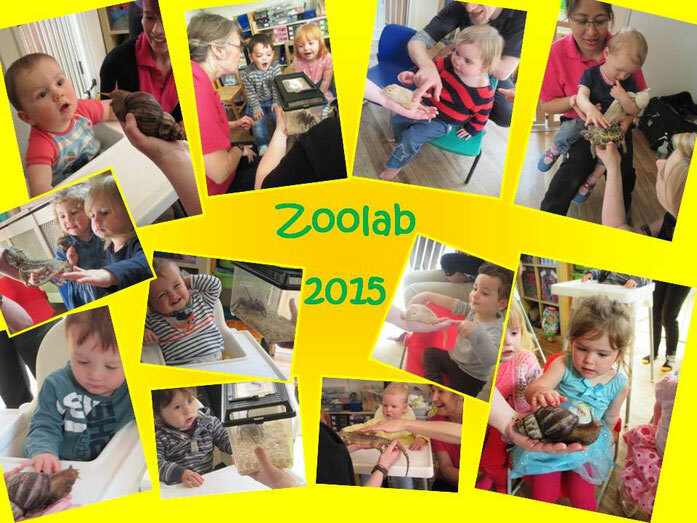 We have welcomed 'Zoolab' to our nursery on the 11th May with their national touring creepy-crawly show and our little angels had a fantastic time! On 25th of September 2015 we took part in the nations biggest coffee morning to raise money for Macmillan Cancer support and we are very pleased to announce that we made a grand total of £50.90. 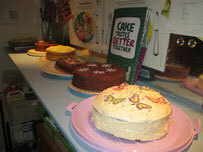 A Massive Thank You to everyone who took part and enjoyed the delicious cakes. 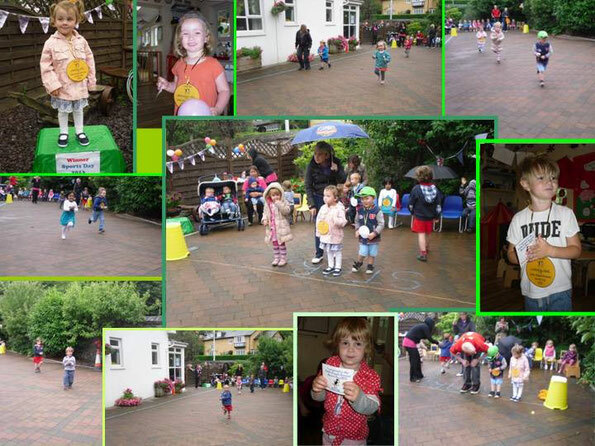 Barnardo's Big Toddle - We have raised an amazing £268.32!! Ahoy! 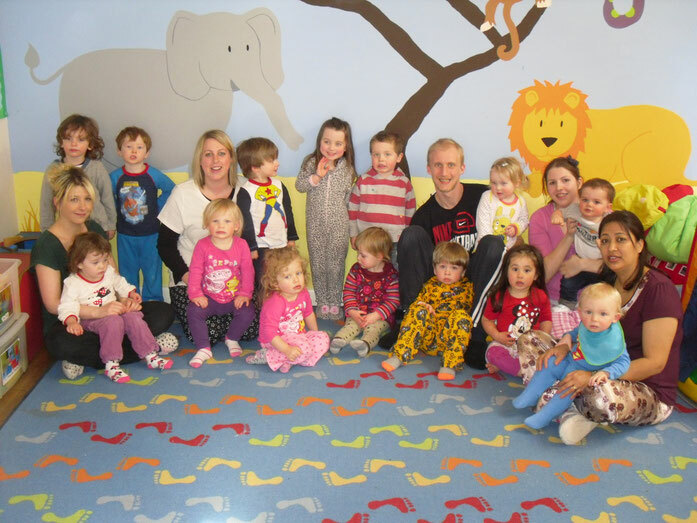 On Thursday the 11th of June 2015 we are taking part in Barnardo’s Big Toddle, raising money to help improve the lives of the most vulnerable under 5s in the UK. We will be dressing up as pirates and walk from Nursery to the Promenade where we would make a stop for a picnic and games, weather permitting! 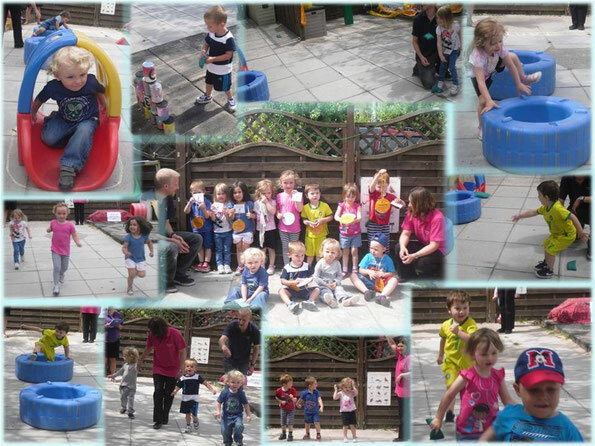 Our nursery is proud to be involved and play a part in many local and national community events. Did you know, this year our little angels helped raise an outstanding £790.48 for charities including: Children in Need, Save the Children and Noah's Ark appeal? Sports Day - July 2014! On Thursday 10th July, we held, what has become, our annual summer sports day for the Bluebell Children. Luckily this year we had a beautiful summers day and plenty of parents came along to support their budding sports champions! The rest of the nursery gathered outside to cheer on the athletes too. There were 4 main events; the running race, the obstacle course race, beanbag throwing and tin can alley, with different heats in each event. The children did so well and winners received medals and all the children received certificates for taking part. Afterwards, the whole nursery enjoyed the bouncy castle and ice lollies to cool off and talk about the excitement of the days events! It was such an enjoyable day and thank you to Nia, Anca and Alan for doing a great job practicing with the children and organising the event! For Sports Relief in March 2014, we raised a fantastic £157.10 through generous donations and sponsorship from the children’s families and friends. The children and staff dressed up as their favourite sporting heroes and the Bluebell group took part in a sponsored ‘Toddle’. 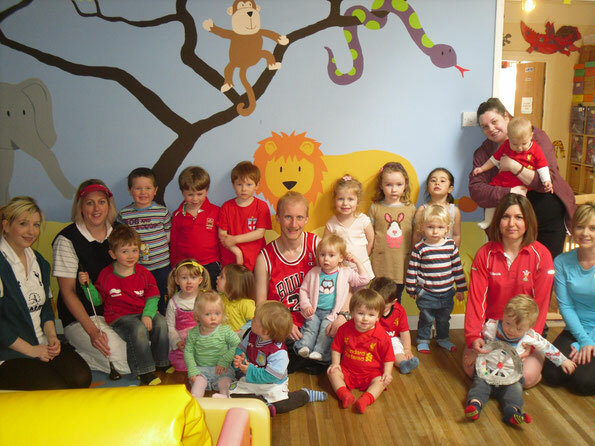 We had an array of sports stars in nursery that day, from Jenson Button to George North! Stage Two of Healthy & Sustainable Pre-School Scheme Complete! Another stage of the Healthy and Sustainable Pre-School Scheme has been completed; Mental and Emotional Health, Well-being and Relationships. We are really pleased at how the scheme is helping to develop the nursery and directs attention to aspects that may not have been previously considered; besides highlighting our existing strengths in other areas. We are looking forward to moving on to the next stage of the scheme, which will most likely be Physical Activity and Active Play. 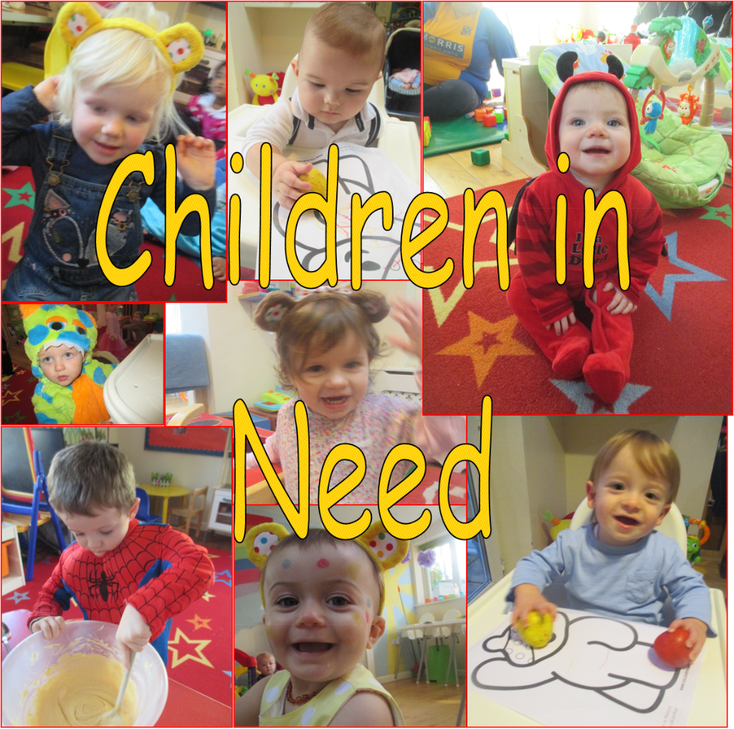 On Thursday 14th November, all the staff and children at the nursery were sponsored to wear spots to raise money towards BBC’s Children In Need. 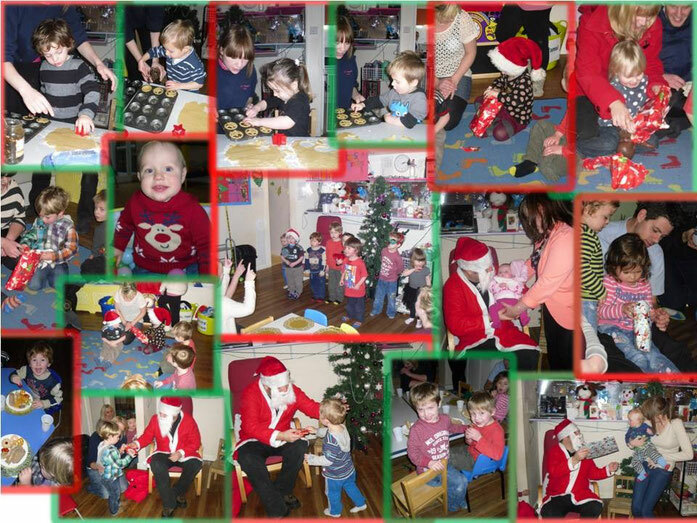 The children were very busy making cakes to sell to parents and visitors at the nursery and a raffle, which had some fabulous prizes donated from very generous businesses in Aberystwyth was drawn during the afternoon and helped to raise heaps of cash! Thank you to all who kindly contributed and helped us to raise a whopping £206!! Summer Sports & Fun Day! The wet weather didn't dampen the children's spirits in this years Summer Sports Day on the 14th August. The rain held off long enough for the children to compete in two main events - The Running Race and The Egg and Spoon Race. The children had been practicing their events in the run up to the big day and competition was tough! There were three age categories for each race and the children were cheered and encouraged along by mums and dads who came along to show their support. The Long Jump and Beanbag Throwing events were unfortunately postponed due to rain. All the children received a certificate for taking part and medals were given to the winners of each race and category. During the afternoon session, the children made their own healthy pizzas for their afternoon snack, face painting was on offer and lots of dancing and fun games to entertain the children. Everyone had a super day!! On Thursday 24th October, Zoolab are returning to Nursery with all their minibeast friends. The children will get the opportunity to touch and feel some of the minibeasts, including a Giant African Land Snail, Millipedes, Cockroaches and other interesting bugs! £1 entry fee for all children. Children not booked in for that day are more than welcome to come along if accompanied by an adult. Show starts 10.15 - 11.15am in the RoseRoom - don't miss it! First Stage of Healthy & Sustainable Pre-School Complete! Little Angels are pleased to announce the completion of the first stage of the Healthy and SustainablePre-School Scheme - Nutrition & Oral Health. The nursery has worked hard to complete this first stage; reviewing policies, providing nutritious and healthy meals and snacks, helping the children to learn how to live a healthy and sustainable lifestyle and promoting oral health through the Designed to Smile Scheme. Well done everyone! The next stage we will be focusing on is Mental and Emotional Health, Well-being and Relationships. From May 1st, Little Angels will be offering a variety of nutritious daily hot meals and puddings and afternoon snacks, in partnership with a local catering supplier and the community food dietician. This exciting new partnership will ensure that the meals provided are catered specifically for nursery aged children and follow the most up-to-date and recommended guidelines on food and nutrition. The meals are charged on a monthly basis and calculated similarly to the current childcare fees. The new pricelist is available on our 'Fees and Admissions' page. 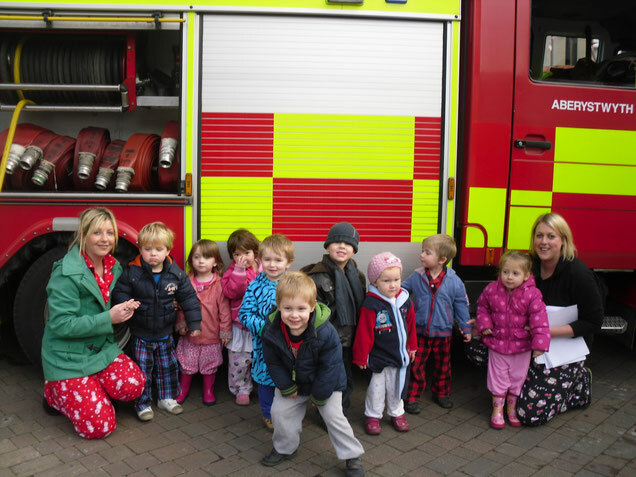 On 3rd April all the children and staff at nursery helped to raise £160 for the Air Ambulance by baking and selling cakes and being sponsored to wear their pyjamas to nursery. The day was held to fund-raise for one of the children’s mums at nursery who is taking part in a sponsored sky dive along with her sister to raise as much money as they can for the Air Ambulance who took their dad to hospital after a fall on a building site in 2010. 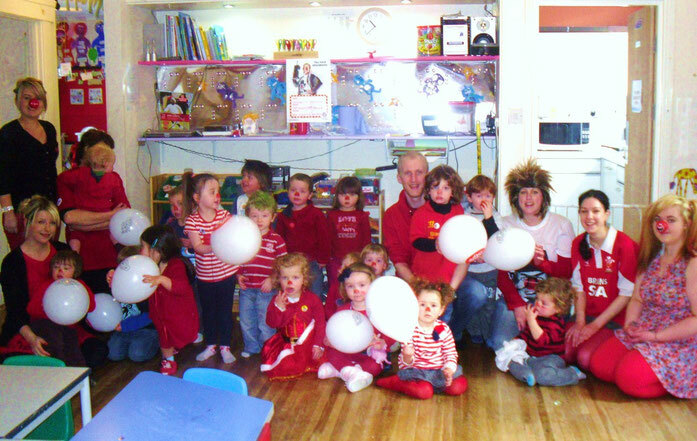 All the children came dressed in red and some with crazy hair to mark Red Nose Day this year and to try to raise lots of money. 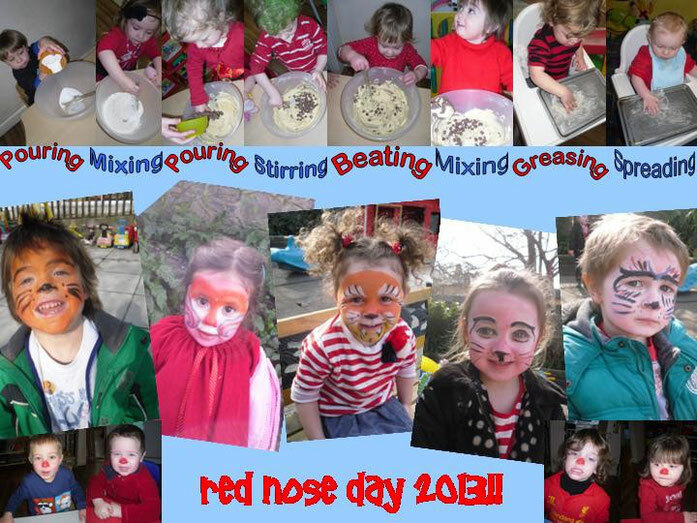 The children got busy once again and rolled up their sleeves to bake cakes & biscuits to sell to anyone that came through the door and with their fantastic hard selling and sponsorship money for donning red clothes or having crazy hair the nursery managed to raise a whopping £172.95!! 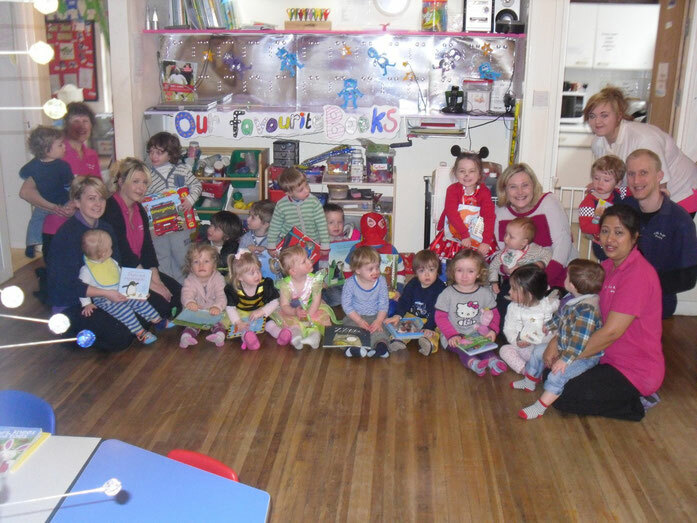 On Thursday 7th March the children came into Nursery dressed as their favourite book characters and they also brought in their favourite books to celebrate World Book Day. The children really enjoyed sharing their favourite stories with their friends and the staff were worn out by the end of the day from reading story after story! Before the nursery closed for Christmas we had a Christmas party and invited all of the children and their parents at Little Angels. The children made some delicious mince pies for their parents to enjoy whilst they performed a beautiful carol service for them. The children played pass the parcel and had lots of fun dancing to Christmas songs before they feasted on masses of party food! A very special visitor came to see the children too and had brought them each a present for being such good children all year. The children were very excited to see Father Christmas, unfortunately he couldn't stop for very long as he said he was very busy! Merry Christmas and a Happy New Year from all at Little Angels! For BBC's Children In Need on Friday 16th November, the children and staff at nursery were sponsored to dress up as their favourite children's characters. 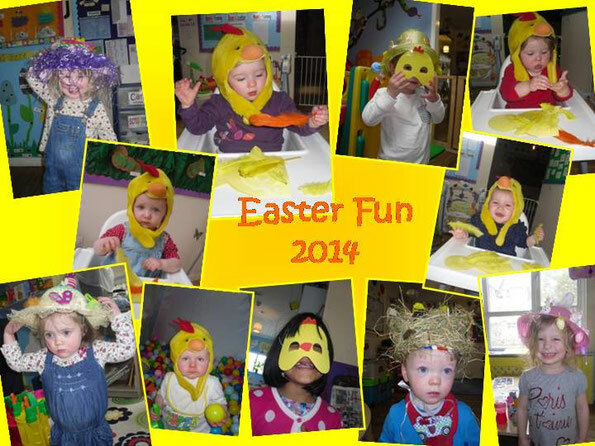 We had an array of fantastic costumes from Peppa Pig to Luke Skywalker! In preparation for the day, the children made delicious cakes all week to sell to staff, parents and visitors and with more orders coming in on the day, the children were kept very busy!! A raffle was held with amazing prizes donated from local businesses in Aberystwyth ensuring that lots of tickets were sold! A huge thank you to 'Toys Will Be Toys', 'Isaac's Sweet Shop', 'Aberystwyth Arts Centre' and 'The Olive Branch' for your generosity. We managed to raise an impressive £288.06!! Thank you to everyone for their efforts and well done for raising a fantastic amount of money!! 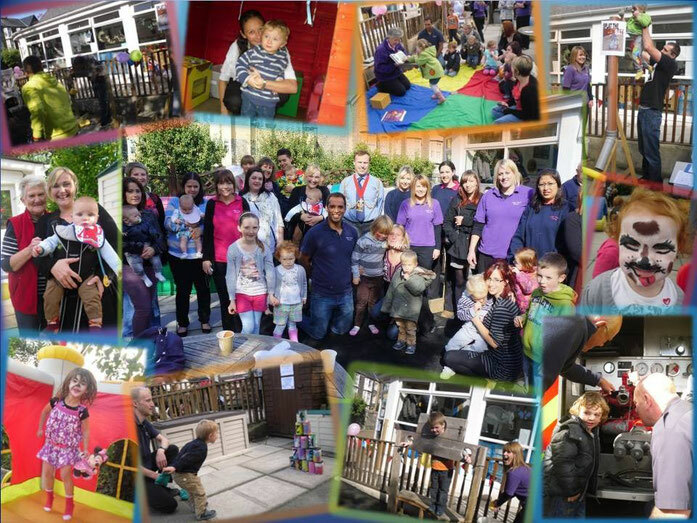 We held an Open Day on the 29th September and invited the whole community to come and join in the fun! The Mayor, Cllr Dylan Lewis came along and also the Fire Service with their Fire Engine - which the children were very excited about! We had Bethan from 'Twf' singing Welsh songs and reading stories and face painting by our very own and very talented Nia, from the Bluebell group. The children had been busy preparing all week in Nursery by helping to make cakes and decorate tin cans for the 'tin can alley'. The cakes and biscuits were very well received by the parents and Krishan's hot chocolate was a huge hit too! Parents enjoyed looking around the nursery and viewing their children's files and getting to chat with the staff leisurely, rather than those rushed moments during busy working weeks! Well done to Rose who guessed how many sweets were in the jar, Teresa for guessing the name of the Teddy and Jo who won the cake in the raffle! All proceeds from the guessing games and the raffle are going towards a planting area for the children in the garden. At the end the day we managed to get Krishan in the stocks and parents, children and staff took great pleasure in hurling sponges at him, getting him thoroughly soaked!! A huge Thank You to everyone who came along and made the day such a success! !